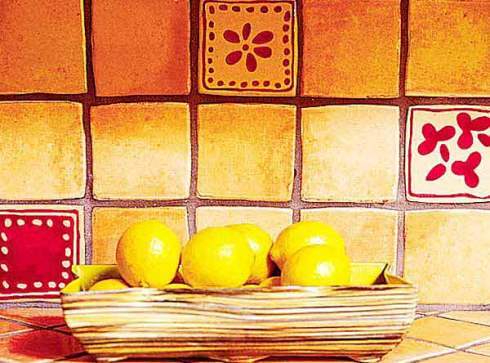 Kitchen Backsplash Tile Designs...Savory Splashes of Color! 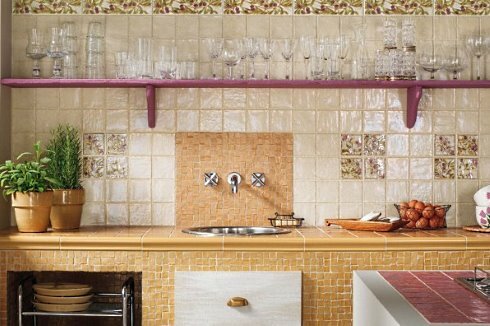 Kitchen backsplash tile designs burst with color in a visually intoxicating array of possibilities. 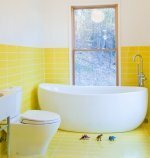 Smooth and textured tile surfaces in a profusion of patterns. Historic motifs and modern mosaics. 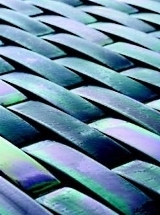 Glazed ceramic and polished glass. 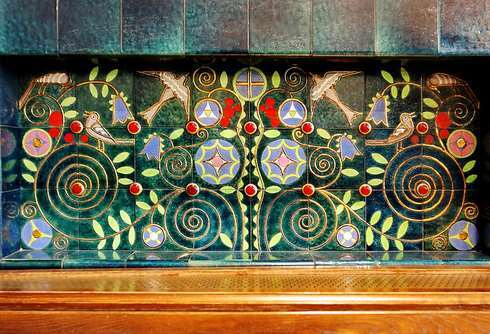 Gems from the past, Art Nouveau tiles by Zsolnay -- an iconic Hungarian manufacturer -- are awash with color. 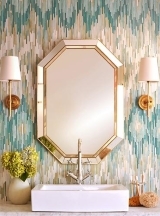 The design pictured below adorns a basin backsplash in Budapest's "Schiffer Villa" (ca. 1910-1912) by architect József Vágó. 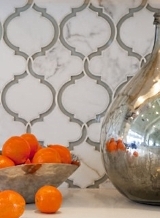 Kitchen Backsplash Tile Designs . 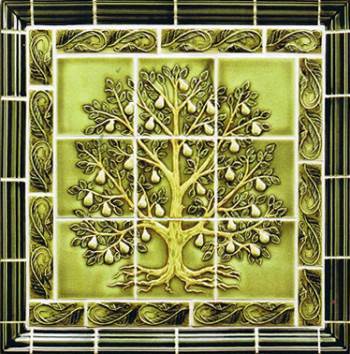 . .
A kitchen backsplash tile design from Pratt & Larson features a raised relief pear tree with stylized symmetry. 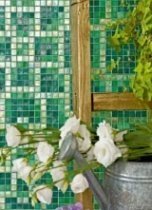 Deep dimensional border tiles frame the pleasing composition. 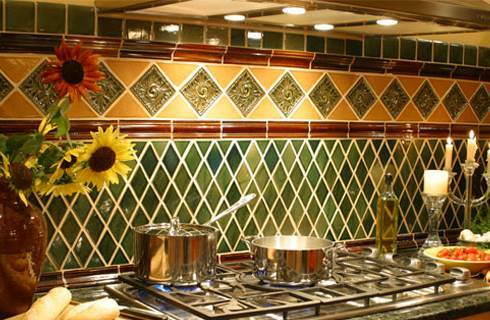 Colorful tiles from Mexico impart a festive look to the kitchen backsplash below. 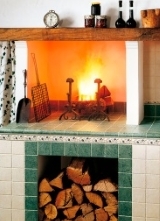 Imported by Mexican Tile Designs, a family-owned business in Durango, Colorado. 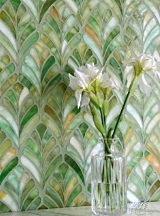 Italian tile maker Marca Corona brings a modern twist to traditional majolica with its Petite Maison collection. The glazed porcelain stoneware tiles feature a mother-of-pearl finish, shown here in Avorio with Olive accents. 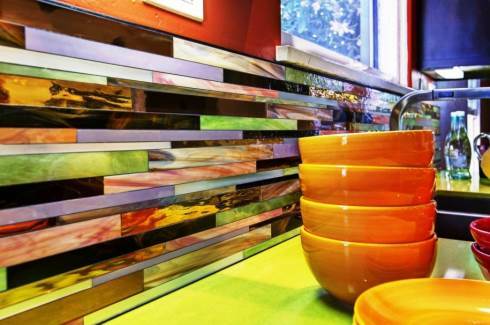 A tile countertop and basin backsplash panel of tesserae provide contrasts in color and finish. 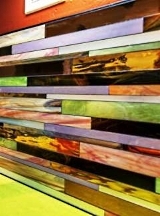 Kaliedoscopic colors infuse a contemporary kitchen tile backsplash. 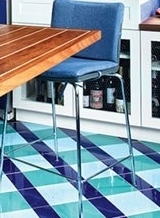 Long, narrow glass tiles are laid end to end in a horizontal pattern, creating a perception of lengthened space. 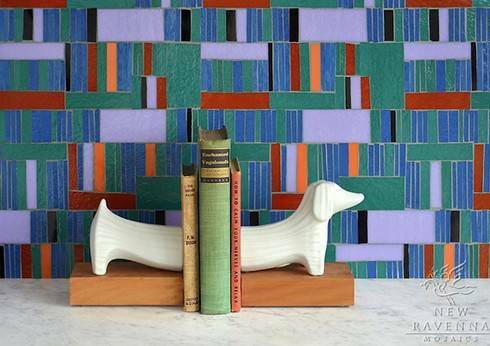 One of many striking mosaic tile patterns by designer Erin Adams for New Ravenna, "Kente" is a richly colored composition made from hand cut glass. 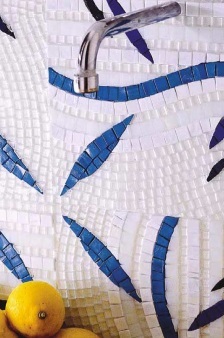 The eye catching mosaic is shown here in Athos, Juhl, Blair, Rhode, Rolly and Obsidian. 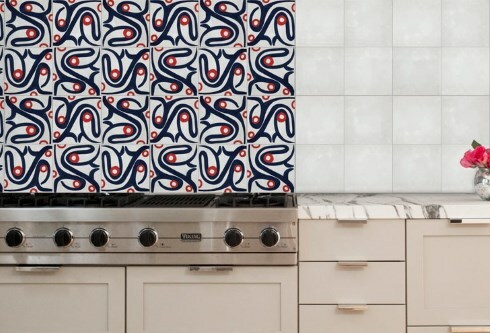 Whimsy and color permeate a unique encaustic cement tile design by South African artist Ruan Hoffman for cle tile. "fireworks," pictured here, is part of his postcards from myself series. 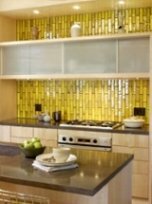 Please check back often or subscribe to our RSS feed, as we frequently add new kitchen backsplash tile designs to our site.